The County Public Service Board of Isiolo invites applications from qualified persons for the following positions on contractual terms of service for a period of three (3) years on full time basis. · Coordinate performance management and overseeing implementation of County Government development projects. · Proficiency in computer applications from a recognized institution. All applications should be posted to the undersigned quoting the job title on the envelop or hand delivered to the County Public Service Board office on or before 3rd August 2018. Shortlisted candidates will be required to produce their original National Identity Cards and academic testimonials, Clearance Certificates from DCI, HELB, KRA, EACC, CRB and membership documents to any Professional Bodies during the interview. Women, persons with disabilities and other minority groups who meet the specified requirements are encouraged to apply. The County Government of Isiolo is an equal opportunity employer. 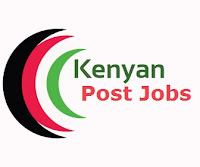 The Salary and benefits attached to each post are as advised by Salaries and Remuneration Commission.